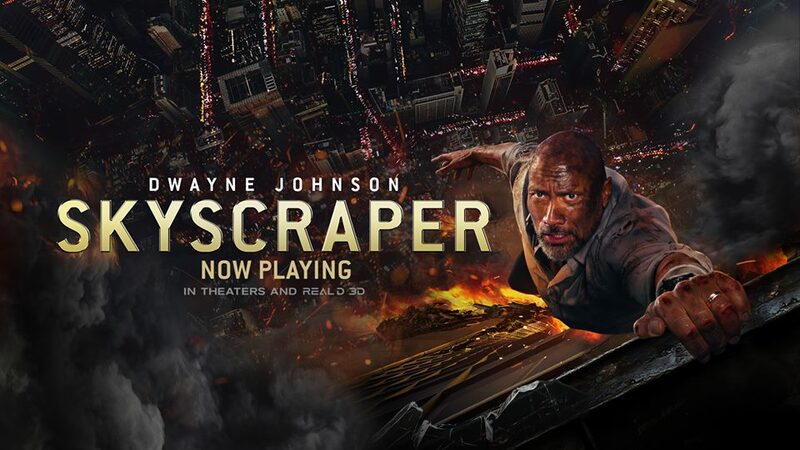 "Skyscraper" did not thrill audiences at the box-office this past weekend. “Hotel Transylvania 3” was victorious at theaters taking in just over $45 million during opening weekend, that is a few million below its predecessor, but not by too much. Nabbing second place was last week’s victor “Ant-Man and the Wasp” with $28.8 million. That is indeed a significant drop from last weekend people, nearly 60 percent. The superhero flick has amounted over $132 million at the domestic box-office in just 10 days, on a global scale the flick has earned over $238 million. Debuting in third place was the action-thriller, “Skyscraper” with a disappointing $25.5 million. Things are not looking great for Johnson’s latest flick here. Why? The film cost over $120 million to make, so I don’t see the flick recouping its budget. With “The Equalizer 2” and “Mission Impossible: Fallout” hitting theaters in the coming weeks, “Skyscraper” might be the first bomb of the summer. “Incredibles 2” landed in fourth place with $16.2 million. After 5 weeks in theaters, the flick has amounted over $535 million at the domestic box-office. Rounding out the top five was “Jurassic World: Fallen Kingdom” with $15.5 million. After a month in theaters, “Fallen Kingdom” has earned over $360 million at the domestic box-office, far less than its predecessor. This weekend sees the return of Denzel Washington to the box-office with “The Equalizer 2.” I’d say it’s a safe bet that Washington will likely own the box-office this weekend, unless “Mama Mia” sings its way to the top.